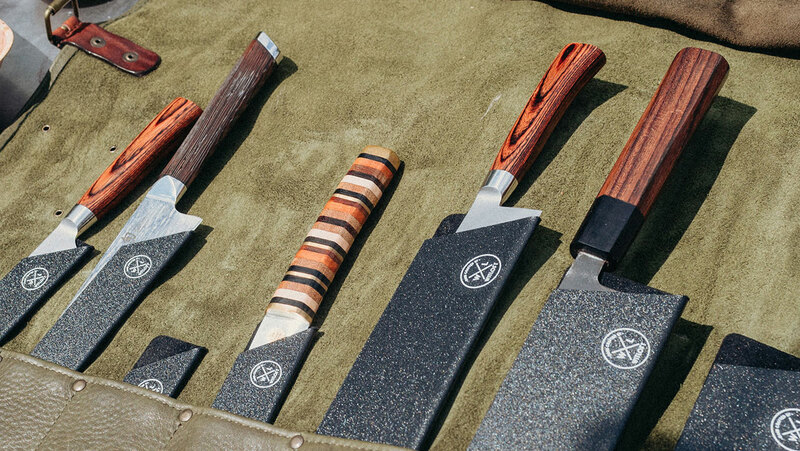 For homechefs, their knives are sacred. They don’t want them to become damaged or be used by someone who does not have the experience to use them properly. 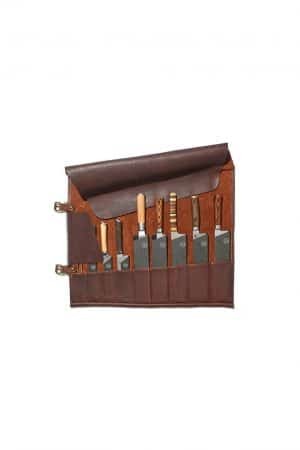 A solid and steady knife roll is essential for everyone who owns a set of professional knives. 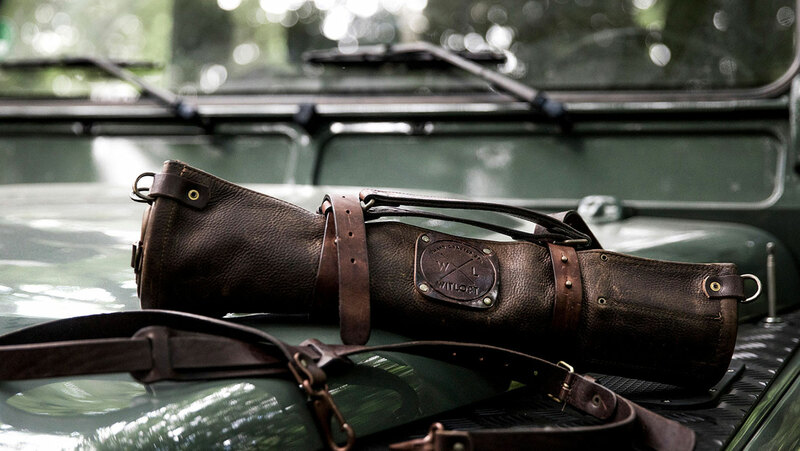 The leather knife roll is useful to store your knives, but that is not all. It is the perfect way to bring your knifes along when you want to use them outside of the house. Whether you are going to a bbq, to your friends house and cook of you are cooking at an event. Thanks to the knife folder, taking your knives with you is now so much easier. There are two types of knife rolls in Witloft collection: the 5 pocket edition and the 9 pocket edition. As the name suggests, the first has space for 5 knives. 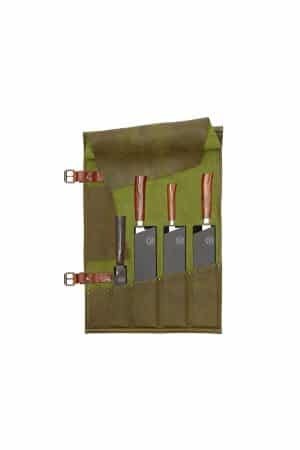 This edition comes with 6 hard plastic knife protectors, which not only protect your knifes from becoming blunt but they protect the knife roll from scratches from the blade of the knifes it carries. The 9 pocket edition has space for 9 knives of every type and size. This edition comes with 10 hard plastic knife protectors. 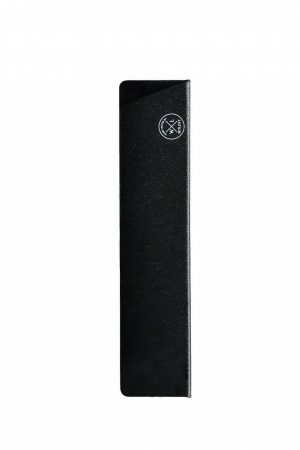 The knife protectors are for single sale as well in our online shop. The knife roll works as simple as it sounds: fill it up with your knives or some other tools and simply roll it up. You can close it up by tightening the belt buckles which are attached to the knife folder. Thanks to the long shoulder strap, which is adjustable in length, it is easy to carry around. Don’t feel like carrying it over your shoulder? Just disconnect the shoulder strap from the handle and carry it by hand. 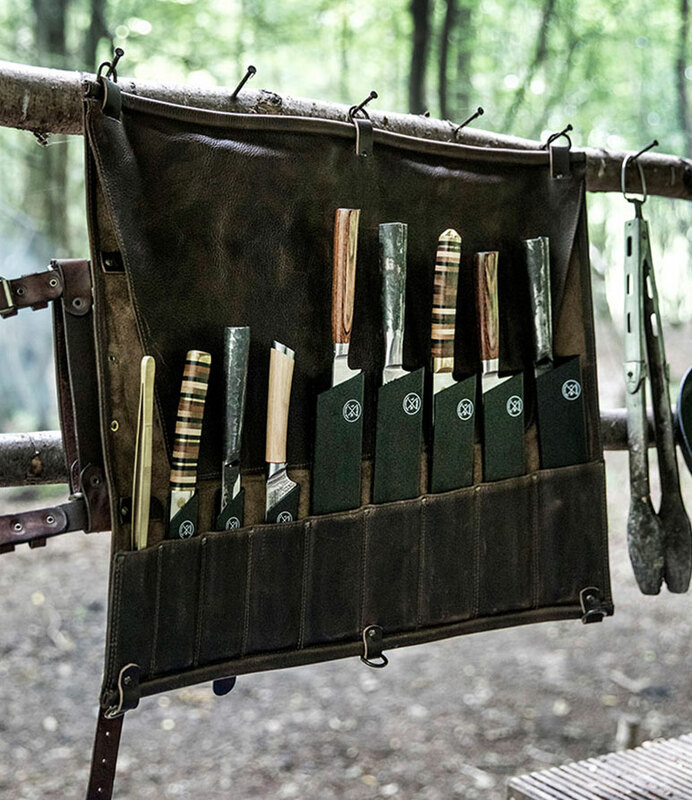 Our pouch is the perfect addition to many other chef’s essentials in our collection. 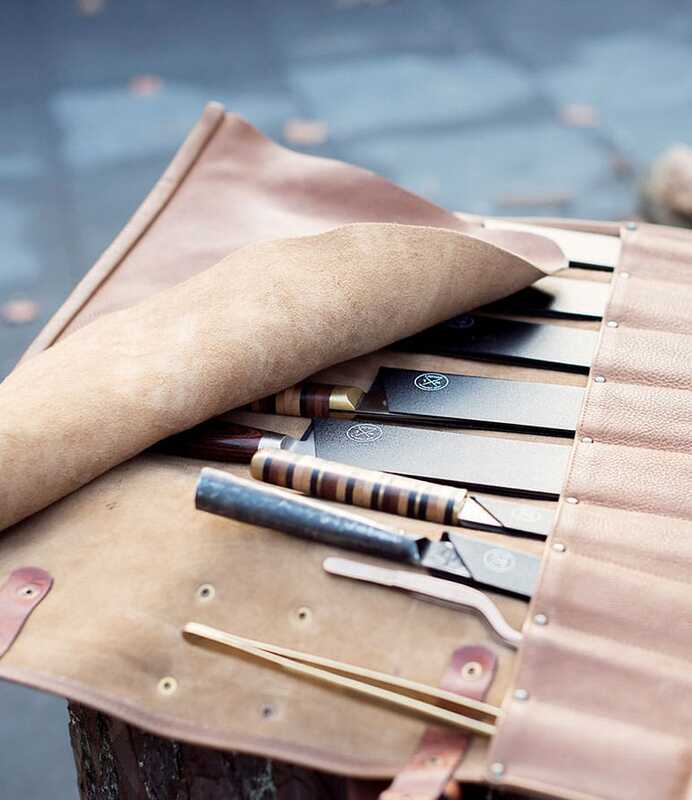 The Leather Tool Pouch is designed to store your chef tools, knives, spoons, tweezers, scissors, pens and much more! 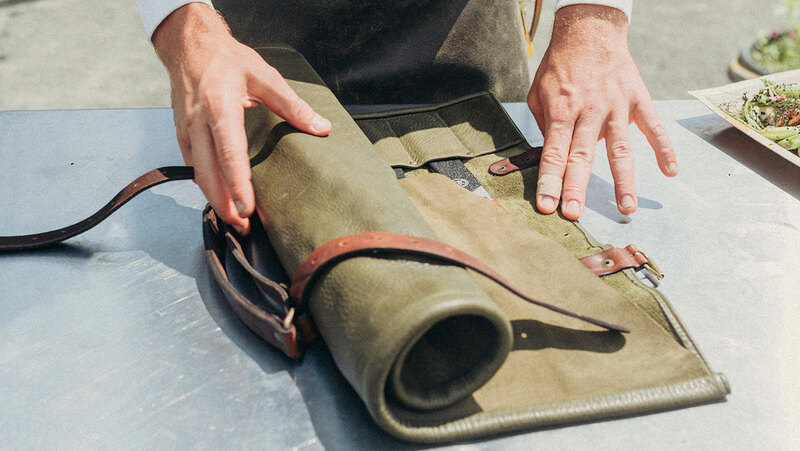 It’s a great accompaniment to our main knife rolls and can be wrapped securely together ensuring your tools won’t fall out. 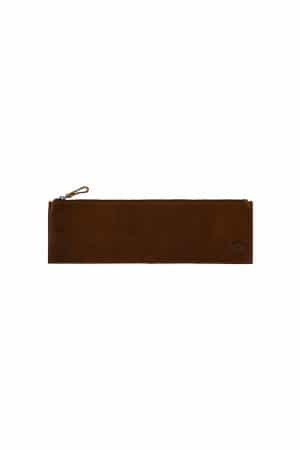 All knife rolls & pouches are made from 100% cowhide leather. The pockets are in variable sizes and for every pocket there is a knife protector which suits the pocket.